We recently had an email from a customer inquiring about Artisan Soap vs. Triple Milled Soap. I realized that many more people could potentially have the same question as he did. So let’s dig in! The term “triple milled” conjures up visions of a extremely high-end soap with luscious lather that lasts forever. Triple Milled bars are very hard. Triple milled soap is typically made from de-glycerinized soap flakes (soap where glycerin has been removed) that are pressed through still rollers under high pressure 3 times while different additives are added each time it goes through. For the handcrafted, artisan community, triple milling isn’t easily possible. It requires industrial size, very expensive machinery. Triple milling is usually done by mostly large companies. A triple milled bar typically does last longer because the soap paste is heated to remove any remaining water. The cure time is reduced as well. 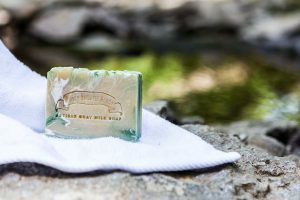 As a marketing attempt, some artisan makers will use the term “triple or hand milled”:, when in reality they created rebatched soap. 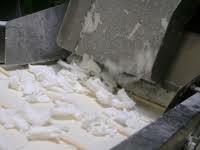 A rebatched soap is where the bars are shredded into flakes, remelted and remolded. Rebatching is sometimes done to use up leftover soap or fix a batch that wasn’t perfect. On triple milled soap, the cure time is reduced as well. However, be sure to read the ingredient on anything that says “triple milled”. Sodium laurel sulfate and other additives may be added and they certainly are not friends of the skin. In that the bars are commercially made, the adherence to the best organic ingredients is rare. Basically, a hot process bar is typically made with oils, lye and water. High temperatures are used during the mixing and pouring and the remaining water is driven out by cooking. However, in cold process soap, temperatures are kept very low to protect the nutrients, vitamins, enzymes, etc. Goat Milk Soap is always cold process, as cooking would destroy nutrients, denature enzymes, and can even burn the sugars giving the soap an off-scent. Overheating the butterfat/cream destroys the value in the bar. However it is still possible to have an artisan bar that LASTS. Under artisan guidelines, artisan bars must age for an absolute minimum of 4 – 6 weeks. This is why our soap resides in a continuously de-humidified room and hardness is tested at 4 weeks to start. However, for real hardness, letting your goat milk soaps age for up to 6 months before using them will lengthen their service life. It takes time for the water to exit the bar. It simply makes the bar denser as the last vestiges of water evaporate. 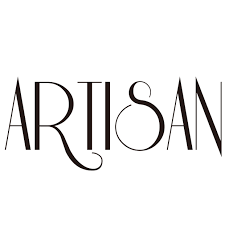 Another reason, the term artisan is used. Small batch, precise method, special handling. So when we ask… Artisan Soap vs. Triple Milled Soap, we are really talking about two different animals. Triple Milled is considered “luxurious” and “high-end”, however for that to be true, the ingredients must be exceptional as well. In that they are typically commercially made, the incidence of less than ideal ingredients is commonplace. Be sure to read the labels. That is where Artisan soap generally excels, using premium, organic and chemical free components with no egregious additives. Now that you can see the difference, determine what is important to you, compare the two in a shower test and see which one you prefer!